Last weekend didn’t go as expected. It started well. 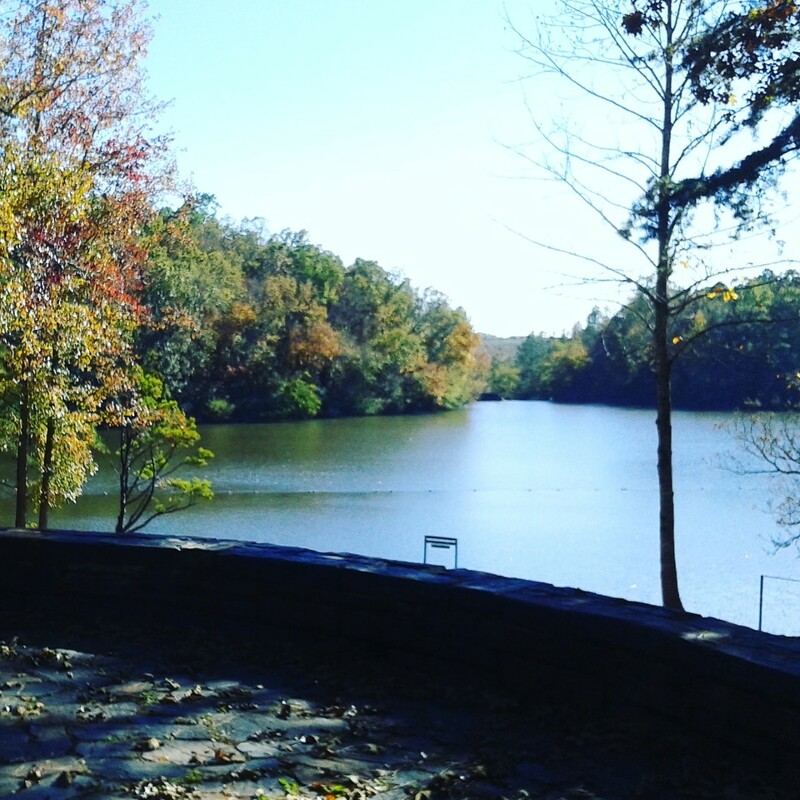 On Friday afternoon, I went to Chewacla State Park with my friend Marisha, her daughter Makenzie, and our little friend Lexie. 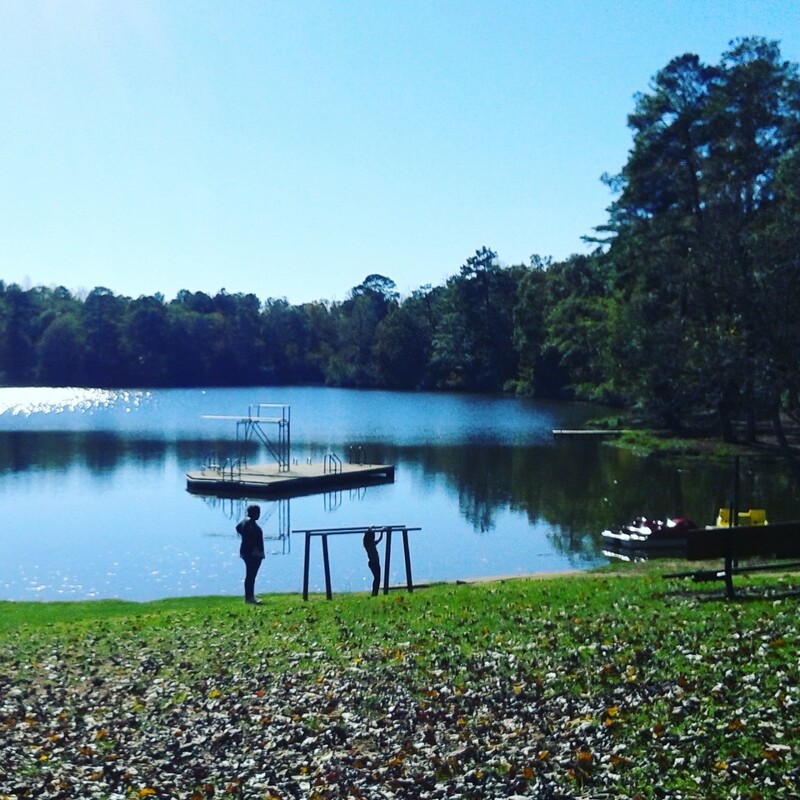 It was a beautiful autumn day, and we had a wonderful time together. But then everything else I had planned for Friday night and Saturday fell through — two sets of people coming over for dinner and a women’s get together. My spirits plummeted. I knew it shouldn’t be a big deal, but I couldn’t help but feel down. So I was wrestling with this, but then I thought, “Well, I can have Saturday with my husband. That will be great! We haven’t had a Saturday together in awhile.” I started thinking of how we could ride our bikes and go to coffee. Then we could run errands and get caught up on some things we need to get done. Wonderful! Well, on Saturday morning, my husband dropped the bombshell. “I want to go door knocking today,” he said adamantly, out of the blue. I wanted to cry. I didn’t feel like I had the emotional energy to go up and knock on the doors of strangers. This was something I needed to pray about days in advance so I could get strength to do it. I didn’t have to go with him, but then I would have felt like a spiritual slug and a selfish wife if I didn’t. To make the story short, after awhile, the Spirit helped me get on board with this, and Ken and I went out in the cold grey afternoon for an hour or so and met some great people. In the end we were very glad we pushed through. What really got me, though, was what I realized when I was praying through my prayer list the following morning. The second request on my list is for my husband’s evangelism. I’ve started praying specific things for my husband that he’s mentioned to me, and that is one area he wants to grow in. So that means that God was answering my prayer, and I didn’t even see it! Instead, I wanted to oppose it. Oh boy. It makes me laugh and shake my head. 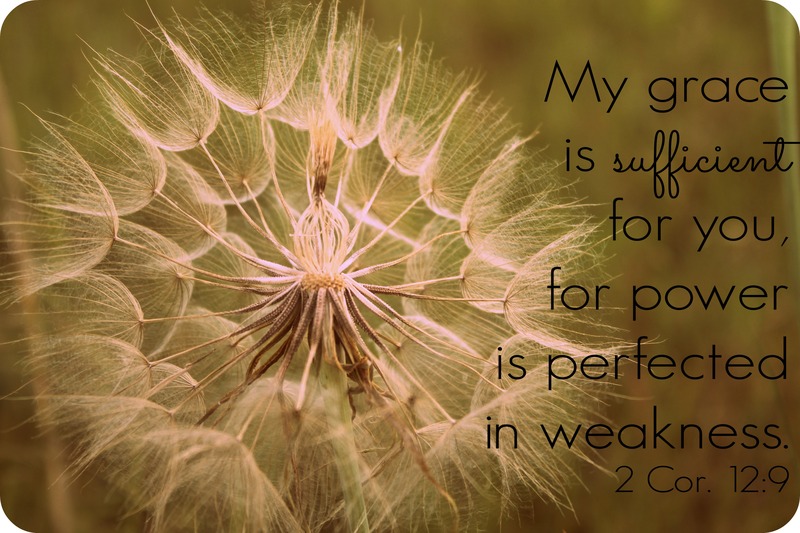 Last weekend was a great illustration of the root character weaknesses that God has been revealing in me — the need to control, and the need for personal affirmation (i.e. glory hogging). It was so hard for me when things didn’t go according to plan. And it was hard when I thought I wouldn’t be able to accomplish things, because doing things makes me feel important and valued. It assuages my insecurity. Do you know what brought that verse to my attention? 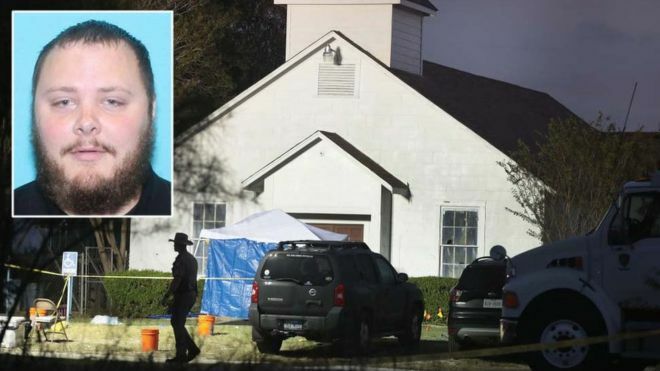 It was quoted by Max Lucado in response to the Texas shooting. Lucado could have said a lot of things to help us deal with such a horrific event. But instead, he got to the root of the matter. We aren’t to fear the evil outside. We’re to fear what will happen if we don’t deal with the evil inside. I have a lot of inappropriate fear. I fear that I will do the wrong thing today. I fear that I did the wrong thing yesterday. I fear that things aren’t going as they should. I fear that something bad will happen and mess everything up. And what is appropriate fear? It’s to fear the things that are destroying me on the inside. And those things are the need for control and the need for affirmation. Or in Biblical terms, they’re pride and more pride, with a side of unbelief. So all of this leads up to today’s passage from Mark, and how Jesus said, “Those who want to save their life will lose it. but whoever loses their life for me and for the gospel will save it. What good is it for someone to gain the whole world, yet forfeit their soul? Or what can anyone give in exchange for their soul?” My heart is so convicted to realize that my efforts to control, so I can “save my life,” are having the opposite effect. They’re causing me to lose my life, my soul! I keep trying to figure out how I can fix what seems to be going wrong. Doing that is hurting instead of helping! My way of operating is innately destructive. Now I’ve started to say, “No” to my deep craving for stability, and instead plunge myself into the goodness that is God. I’m looking to him, not myself. I ‘m losing my life a thousand times a day, to save it. When Jesus said these words, he was dealing with people who didn’t get it. They were worried about bread. They told him he shouldn’t suffer. In this passage, he was trying to key them in on what they really needed — to have a purity of heart and singleness of mind. To know that the only thing that matters is the soul. If our desires are for anything else, we end up like I was this weekend, feeling disordered, emotional, confused and fearful. Having a singleness of focus will see us through the troubled waters of our days. Learning to be single minded has been like balm for me. I can feel healing in the places I’ve inadvertently been damaging. Here are some ways I’m working on being constructive, instead of destructive. Perhaps they will be balm to your soul, as well. Praising God throughout the day, which is much more appropriate than micromanaging him! 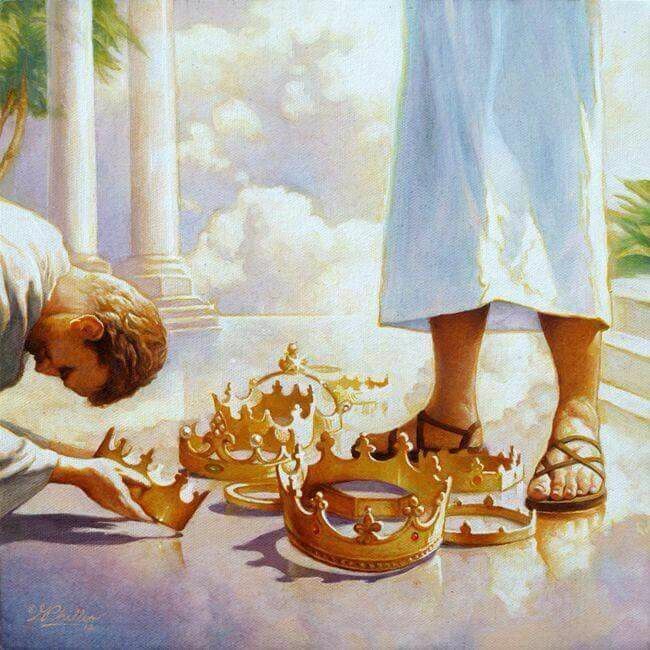 Picturing myself, like the elders in Revelation 4:10, laying my crown at the feet of Jesus. Picturing myself going to God and drawing from his well of goodness, rather than giving into my desires for control and affirmation. Recently I had the great idea that I would try to wean myself off my menopause hormone therapy. Ack! What was I thinking? I know I’m going to have to come off of it at some point, but doing so was miserable. I started feeling listless and unmotivated. I found myself experiencing depression, paranoia, insecurity, low self-esteem, fear and negativity. It would have been easy to blame all of this on my med change. And in a way, that’s true. But what is also true is that the new chemical imbalance was a catalyst to bring out what was already in my heart. Jesus said something radical in the passage above. He said it doesn’t matter how good our life looks. What matters is what is in our heart. Because if there is bad gunk in there, it will come out at some point or another. It will affect us and others. I had this moment of clarity a couple of Sundays ago. Ken and I were driving to church, and I was picking at my husband. (Don’t we always struggle with something on a Sunday morning?) But this time, instead of taking the niggling issue to its conclusion, I stopped and looked at my heart. If my heart was like a pool of water, I could see that the water was brackish, slimy with bitterness, anger and fear. I saw that the thing I was talking to my husband about wasn’t really the problem at all. The problem was my fear. I was afraid that my husband’s actions would trigger a downward spiral. 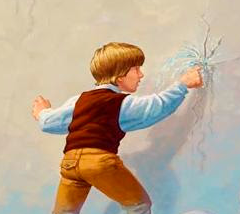 So my solution is to be like the Dutch boy who keeps his finger in the dike. I’ve got to stop every leak to make sure chaos can’t get in. I work very hard at making sure everything goes right. I try to be a good wife, mom and Christian. But keeping my finger in the dike never really gets rid of the fear, the fear that is so huge, so solid, that all my years of Bible study have only chipped away at it, not done away with it. It’s like a Godzilla Fear! It’s like a Terminator Emotion. 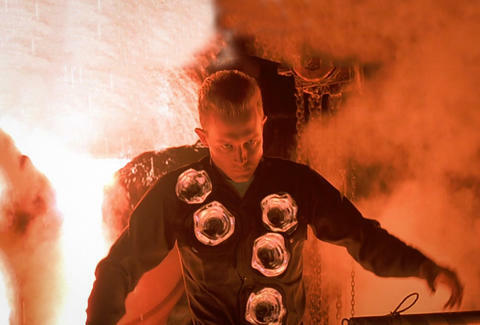 Remember those movies and how they kept trying to kill the bad Terminator, but it kept coming back? That is what my fear can be like. 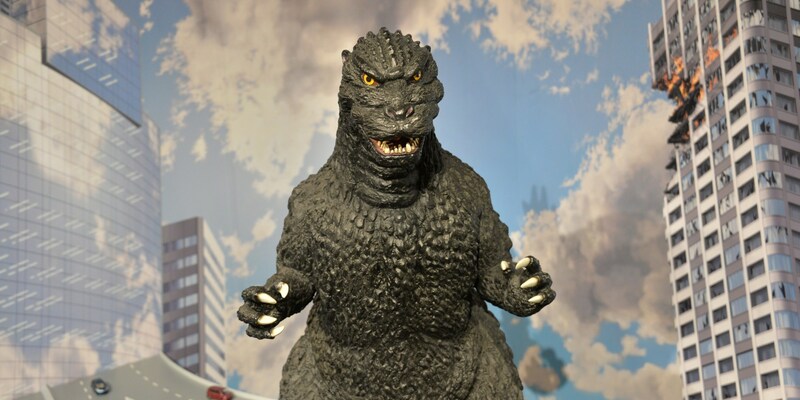 Probably a lot of us have Godzilla Terminator Emotions — anger, bitterness, hurt, or insecurities — feelings that we think we’ve gotten under control, but reemerge in the pressure cooker of life, and then loom so big and real that we act out of them instead of our faith and convictions. And this is the stuff Jesus says defiles us, that we need to clean out of our inner selves. But how? It seems impossible! Find the root. I do a lot of yard work. One of the most frustrating parts of it is dealing with the vines and small trees that grow out of my bushes. Sure, I can snip at them when I trim the bushes and my yard will look nice for a while, but they’ll be back, fouling my nice landscape! The only real way to get rid of these “weeds” is to go under the bush, find the root, and pull it out. The same thing is true with our heart. We need to go under the surface, find out what’s really bothering us, and deal with that. 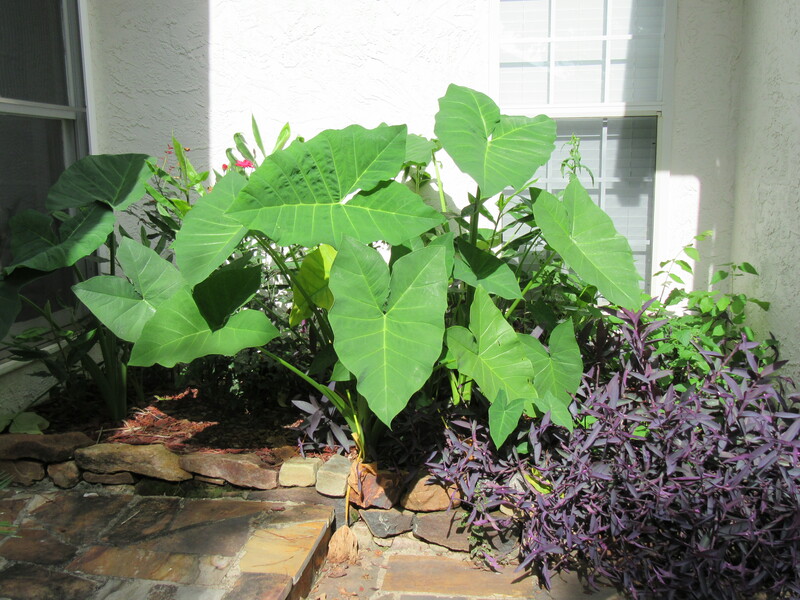 In gardening, pushing through stubborn branches and digging in the dirt is unpleasant. So is digging through our emotional baggage. But we’re not going to be able to get rid of it if we don’t see clearly what the problem is. There are effective tools in helping us with this. I recommend reading a book like “Spiritual Discovery,” and having someone to talk with (even a professional) to help you process. There are weeds in my yard that have a root system. I can pull out one weed, but others still pop up because the weed has sent out shoots into the soil. The two sprigs in front are connected weeds. I’ve tried to get rid of these things a thousand times! In my life, I see how my root of fear leads to other sins popping up – faithlessness, self-hatred, and the big one, PRIDE. Pride shows up when I think I have to fix the world to keep the chaos out. It’s up to ME. A more total dependence on God! In the end, what we really need is the Big Guy with the Big Guns. We need to give EVERYTHING to him, every bit of control, every worry, every insecurity, every failing, every hurt. Ultimately, the most effective thing we CAN do is have faith. Last week I watched a Ted Talk that was utterly compelling. It was given by a Colombian woman, Ingrid Betancourt, who was kidnapped by rebels and held captive in the jungle for six years. Wow. I want that kind of faith. But, as Betancourt said, I’m going to have to exercise my will to build it. This is just a starting point. Let’s all think of many more truth exercises. I’m still fighting my Godzilla Terminator Emotions. But I have to tell myself that the good thing about this is that they reveal what is in my heart. They help me see the “roots” and the “shoots.” I am beginning to see, too, the dysfunctional patterns they cause in me, like my efforts to control everything. All of this brings me on my knees before God, and that is the best place to be. More than ever, I know that I need to keep putting things into HIS hands, doing this a thousand times a day with every concern and upsetting feeling. My efforts have to be put into having faith, not control. And faith feels good. It is purifying and healing my heart. And that is the goal. But I’m Trying So Hard! I’m the “Pharisee” in our family. I feel like you have to go by the rules. For example, when I bike, I always wear a helmet and stop at the stop signs. When Ken and I bike around Auburn, there’s this one place where you are not supposed to make a left turn, but instead make a long detour. That might be fine if you’re in a car, but it’s a drag when you’re riding a bike. I’ve seen bicyclists make the left turn anyway. But I’m so legalistic, I have to stop, and walk my bike across the intersection to make sure I’m not disobeying the sign. What were the real Pharisees like? They were the party of Jews who ministered to the common people. Their thing was keeping a set of oral laws in addition to keeping the written laws. They believed that Moses gave oral laws that told people how to apply the written law. These oral laws were handed down from generation to generation, and were just as binding as the laws of the Old Testament. And one of the oral laws was that you had to wash your hands in a prescribed way before you ate. According to my research, if you were going to eat the ceremonial offering, you were supposed to wash your hands all the way up to your elbow. If you ate with an individual, you would wash your fingers. But it does seem like a good idea. Modern science tells us that it is certainly hygienic. And the Pharisees were trying to be zealous. They were trying to ensure that everyone would be sure to be obedient to the scriptures. You would think God would like people to expend all this effort to try and please him. Instead, Jesus let us know that God was highly displeased. Something had gone way wrong. His people had gotten to the point where their focus was on following on their traditions instead of following the commands of God. Isn’t this what can happen with all of us, that our focus gets off of God and onto man? We think we are serving God in a better way, but our gaze subtly changes to our own efforts and plans. Ultimately, we can get so wrapped up in seeking to DO things for God that we don’t seek to KNOW God. Last weekend I hosted my daughter and a young woman who was one of her best friends while she was growing up. It was a wonderful visit. We shared a lot of memories, and it reminded me of the highs and lows of raising children. You know, I thought I could do all of the right things and my kids would make the right choices. I came up with all of these plans and implemented them. But in their teen years, things still went south. I confess, I was angry and discouraged. I had tried so hard to do the right things. Why didn’t that work? But then I felt like the Spirit taught me that God didn’t want me to rely on my plans, even though they included many good things. If I did, I would think that success was due to following the plans. God wanted me to, instead, completely rely on him, and know that success would only come from that. And every day his grace was sufficient. He supplied what I needed to raise my teens. (By the way, my kids are awesome!) I’m still learning to apply this today. What is a Pharisee? Let me tell you about something scatterbrained I did last week. I vacuumed the whole house, and I was so intent on watching where the vacuum needed to go that I didn’t notice that the canister was missing. I hadn’t replaced it after I emptied it. I vacuumed everything, but all the dust went right back into the air! That’s what being a Pharisee is like. We get so intent on doing things for God that we forget the component that makes it all work. That component is understanding God. It’s learning, day by day, to have his heart. We’re trying so hard! Let’s make sure our efforts are taking us closer to God, and not further away. Malachi prophesied that the coming of the Messiah would not be the wonderful feel good experience the Jews were expecting to have. It would be tough and scary — a time of refining. This past week I went out sharing with a sister who had never invited strangers to church before. “It comes so naturally to you,” she said as she watched me. I had to laugh. I told her how hard it was for me when we moved to Atlanta to join a new church. The church was running this “Just Do It” campaign where everyone was challenged to invite two people a day to church. Whoa. I thought I wanted to be a part of this fellowship. 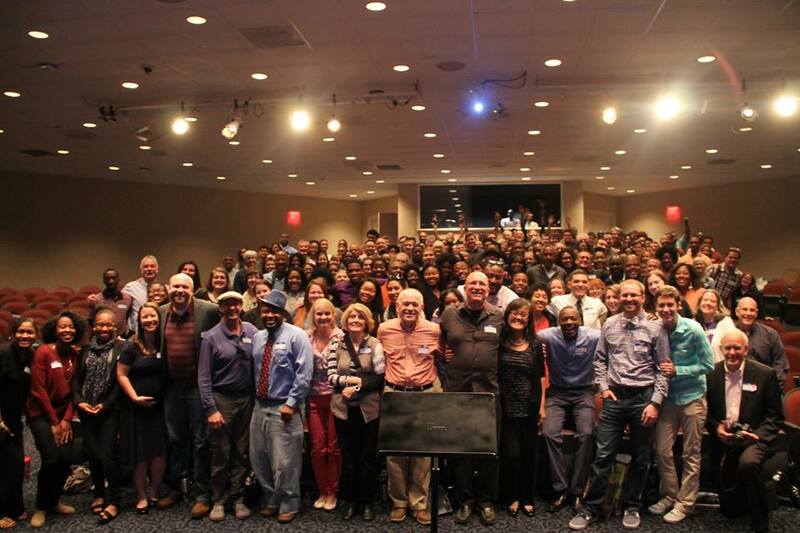 It sounded great to be around people who were joyfully sold out for Christ. But then we got down to the brass tacks. It meant that I would have to give up my complacency and do things that were very uncomfortable for me. I remember looking around at the church service, and thinking, “What have I done?” I wasn’t sure I wanted to join after all. We think following Christ is going to be all warm and fuzzy. But when we actually have to do more of the things that Jesus did, it tests our hearts. And this is what God intended, that with the coming of John the Baptist and Christ hearts would be tested. The status quo would be challenged. Jesus came to refine hard hearts. He came to challenge all of those who thought they were clean with the truth that they were dirty on the inside. As Malachi 3:2 said, they needed strong soap. A few days ago, my friend Markeya and I had lunch with a friend who’s studying the Bible. We sat at a table in the bright spring sun, and ate crepes and stuffed squash, and bonded. We opened up about the hurts we’d gone through in the past. We talked about how we’d all hardened our hearts as a result of these pains and shut ourselves off so we couldn’t be hurt again. We read Luke 7:36-50 about the sinful woman who poured perfume on Jesus’ feet, wet them with her tears and wiped them with her hair. We discussed how amazing it was that this woman could have a soft heart. Sin and pain hadn’t hardened her, as it had us. And we prayed that we would all be more like this woman, able to let down the walls, able to come to Jesus in tears, admitting our sin and our need for his forgiveness. This is what God is looking for. This is the goal of refining: a tender heart that reaches out in humility. A heart that can see and admit sin. The Jews didn’t have heart knowledge. I’ve been praying lately that I would see my sin as God sees it, that the grime which clouds my vision — guilt, people pleasing and perfection seeking — would be removed. Jesus came to create pure hearts. And the process of creating them is intense, it’s a fiery furnace that exposes the truth in our inmost parts and brings to light those weaknesses we’d rather keep hidden. It shows us the things we need to change. And we want to run away. We rationalize and fling out excuses. We hold tightly to our complacency. Until finally, we fall to our knees, and understand. Blessed are the poor in spirit. Blessed are the meek. Blessed are they who hunger and thirst for righteousness. We need God like the air we breathe. We can’t do it on our own. We need to be God sufficient, not self sufficient. That is what Jesus came to teach us, that it’s not the religiously accomplished who are the heroes, or the wealthy or successful, but the widow who gives her last penny, the tax collector who prays for mercy, the sinful woman who washes Jesus’ feet with her hair. The end of the story of me seeking to join the church in Atlanta is that I pushed through. I found out I could do it, I could share with strangers. And when I did, I was energized! That pattern has continued over the years. Things get hard. I don’t know how I’m going to continue. But I persevere, I rely on the Source, and I end up overflowing with joy. God tests us, but we can put our hand in his and get through to the place on the other side. And in the process our hearts are strengthened. This past Sunday we had an AWESOME service. Our little church of 50 people had 200 in attendance. We commemorated all God has done for us over the years. We’ve been through so much, but God brought us through! We celebrated and praised him with all our hearts! Yes, Jesus came to refine us. Yes, it will be tough and scary. But it is so worth it.